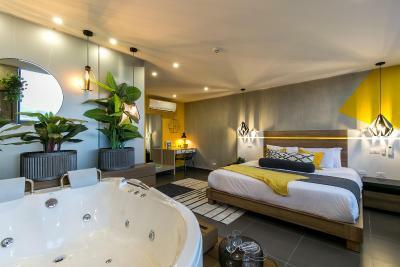 Lock in a great price for Epic Boutique Hotel – rated 8.7 by recent guests! Super clean room. Rooftop bar was a really nice surprise. Cafe in lobby as well. Super good customer service at front desk. Great location, very nice, clean. Staff was excellent, and bonus for me spoke very good English if your Spanish is limited. Ideal location right in the heart of El Poblado. 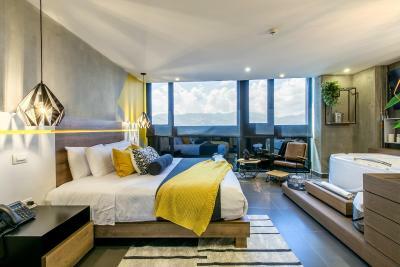 Room was modern and clean, with a cute view of the neighborhood and the mountains in the distance. Amazing hotel staff, especially George at the front desk! Great price. Super comfy, hot showers, fast WiFi, friendly staff, and cheap and fast laundry service all in a great location. The windows were thick enough that the noise at night didn’t bother me or interrupt sleep at all. Property is modern, clean, excellent attentions (especially from Jorge! What a great guy!! ), great breakfast options from the on-site Tostao cafe. 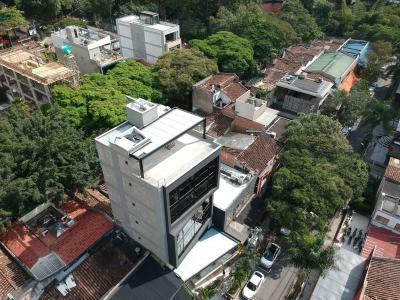 Right on Parque Lleras with access to restaurants and bars right next door or across the street. 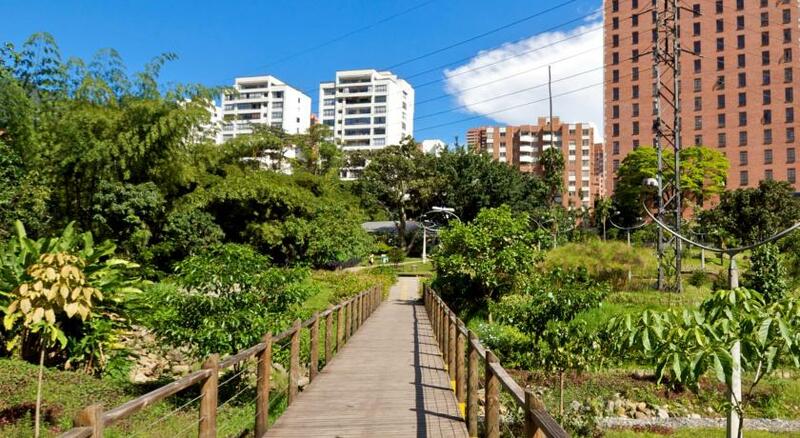 The hotel has the best location in parque lleras. It's a beautiful, clean, safe hotel. 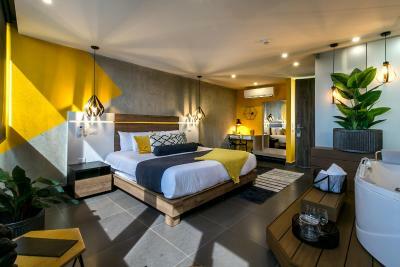 The rooms are spacious, the bed comfortable and super super clean. The staff are outstanding. Jorge, the night clerk is the best, being friendly, professional and assisting you with any issues. Although I never saw housekeeping, by the time I returned to my room in the late afternoon, my room looked brand new.....fantastic job! All in all, i love this hotel with the late hour noise being the minor set back. 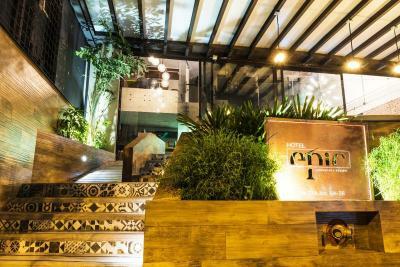 The hotel staff were very helpful and went out of their way to keep us up to date on what we needed to do in Medellin. 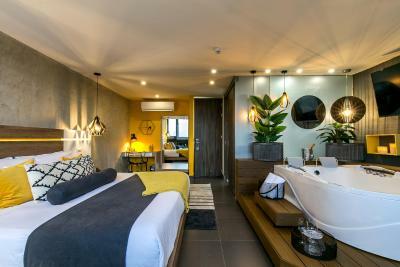 The rooms were clean and eco-friendly. Air Conditioning was great and we liked that we could open our rooms window. 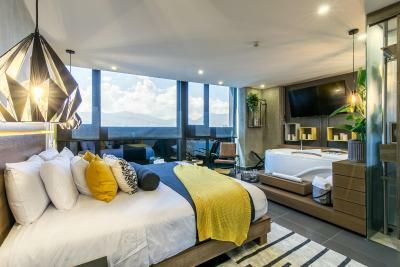 One of our top picks in Medellín.Located in Lleras Park, Epic Boutique Hotel is set in Medellín and features air-conditioned rooms with free WiFi. 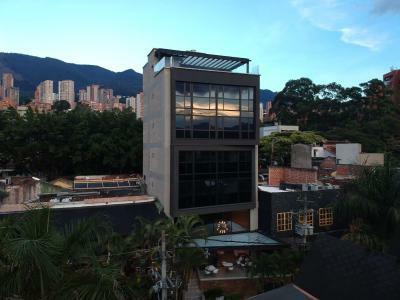 In a prime location in the El Poblado district, this hotel is located 2,650 feet from El Poblado Park. The property is located 3.7 mi from Pueblito Paisa. 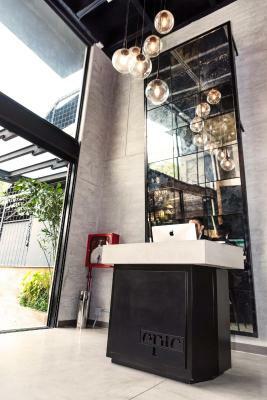 At the hotel, the rooms are equipped with a desk and a flat-screen TV. 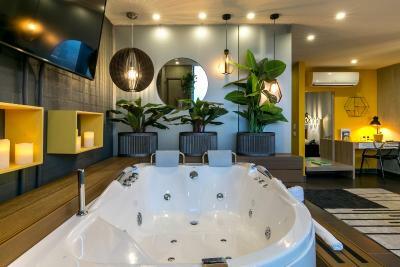 All rooms are fitted with a private bathroom with a hair dryer. Guest rooms have a wardrobe. 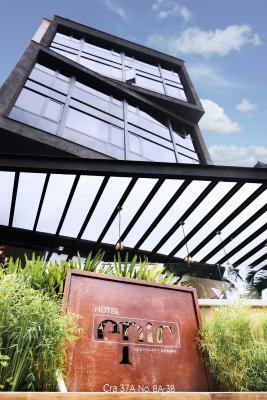 Epic Boutique Hotel offers a business center for guest use. Speaking English and Spanish at the reception, staff are willing to help at any time of the day. 70 Avenue is 5 mi from the accommodations. Olaya Herrera Airport is 1.9 mi away. 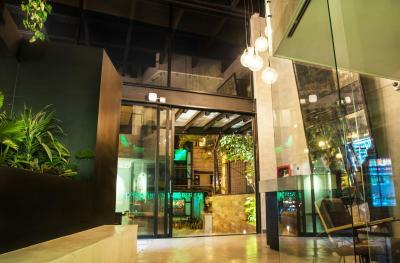 El Poblado is a great choice for travelers interested in nightlife, food and friendly locals. 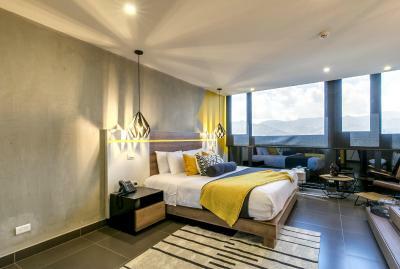 This is our guests' favorite part of Medellín, according to independent reviews. 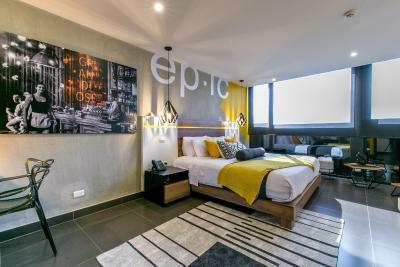 When would you like to stay at Epic Boutique Hotel? 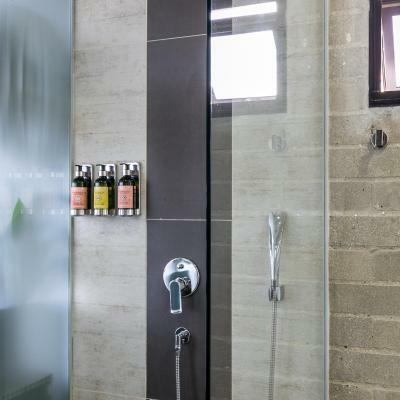 This single room has a soundproofing, air conditioning and tile/marble floor. 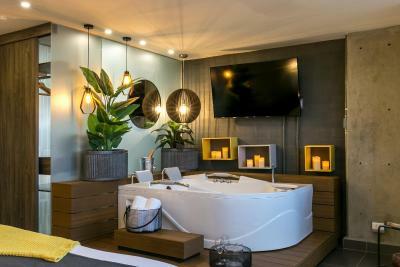 This double room features a spa bath, air conditioning and tile/marble floor. 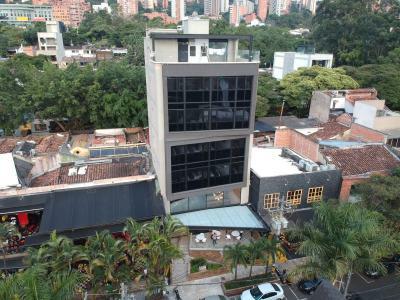 Hotel surroundings – This neighborhood is a great choice for travelers interested in nightlife, food and friendly locals – Check location Great location - show map Guests loved walking around the neighborhood! 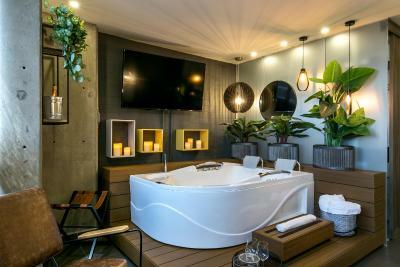 House Rules Epic Boutique Hotel takes special requests – add in the next step! Epic Boutique Hotel accepts these cards and reserves the right to temporarily hold an amount prior to arrival. 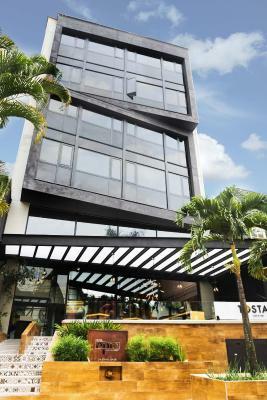 This property is located in a busy area so guests might experience some noise. Design, staff and location were outstanding! The Rooftop Bar was so cool! the view was amazing, the ambiance was relaxed and the drinks were delicious! On the plus side, the barkeeper/owner was hot and really nice. 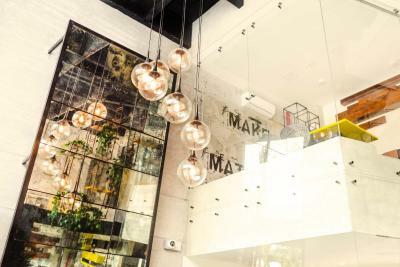 The location was perfect if you want to have fun nights out or eat amazing food! We loved the location and the room layout - great area to stay in! There are bars around so there’s a lot of noise at night, the water from the shower is very few, the room was a little too small. The location, unfortunately it was very loud most evenings. The staff were very friendly. I booked for an early check in and it was not possible to check in at the time requested. the room was incredibly small as compared to the pictures in the webpage. there was no closet space nor any space to place two small suitcases... in short, it was ok, but definetly not what I expected. 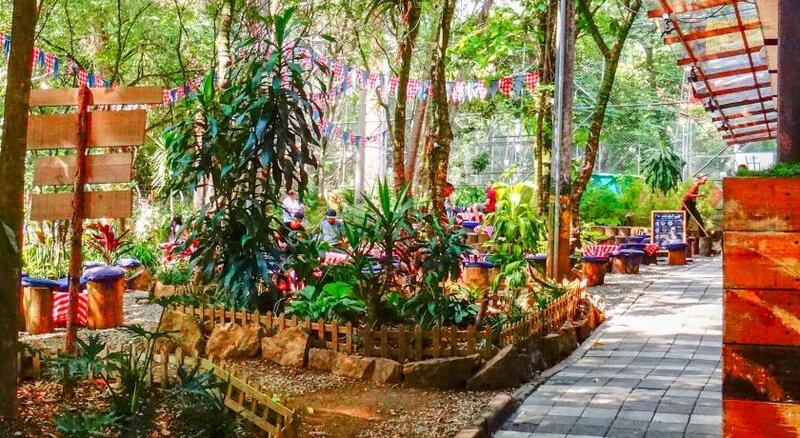 It can be rather noisy at night due to the very central location and the huge number of bars and restaurants surrounding it, so be aware that this location isn’t really peaceful and quiet! The location is excellent and the staff are very helpful. The rooftop bar staff are very nice and provide a greaf breakfast on the bed and breakfast option. There is also a nice cafe on site for croissants/coffee etc. The owner is awesome, he was really nice and we had a great chat on his fabulous rooftop !!!!! The view was very nice and the location is in a good area. 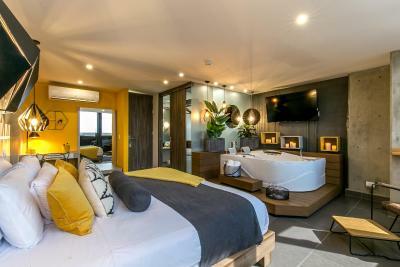 The rooms are goods. Attention: it is very noisy, night clubs all around and we could barely sleep! We would never stay there again. This hotel has zero soundproofing and the street noise is LOUD until at least 2 am. If you have trouble sleeping due to noise...go somewhere else. Really nice rooms and great staff. Great location means it gets pretty loud at night with all the bars around. Location is great in a really popular neighborhood. The room we had was small but really nice. Water pressure in the shower was probably the best out of all the places we stayed in Colombia. No hairdryer. The comments you read about the noise of the street at night.. are true. We were here in the weekend and the music is really loud. Earplugs are a necessity. Even the neighbours sink is really loud. The rooftop. The breakfast (fresh OJ!) is served there and it’s also a bar, so for sunset it’s nice to have a beer as well. The l’Occitane products in the bathroom. Restaurants nearby. Perfect ! Good location and thanks again Jorge !